California Russian Blue Rescue View other Russian Blues for adoption. 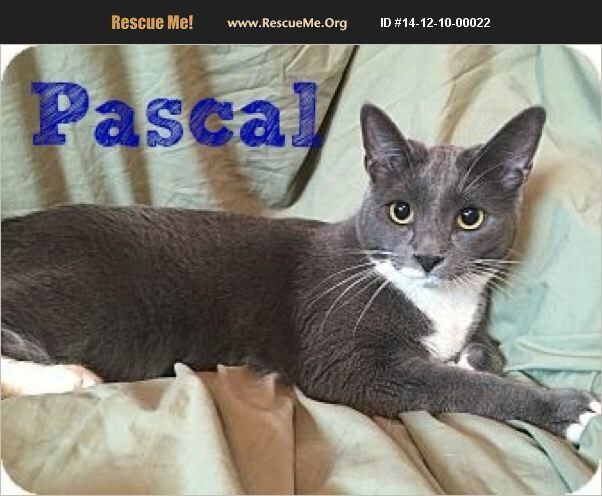 ***Sorry, we cannot adopt outside of Southern California***Hi, my name is Pascal. I was born April 15, 2014. I am a Blue and White Domestic short hair/ Russian Blue mix. I have been in foster care for most of my life. I am a very sweet boy who loves to play and be pet. I, on occasion, will sleep in my foster mom's bed but most of the time I will sleep on the dresser next to her bed. I am currently with other kitties and I live with dogs. I would not mind having a male kitty companion or being by myself.I am neutered, current on all vaccines, microchipped, combo tested (neg/neg) and am potty trained.